Summer season is almost over and admit it, we all love pairing our bikinis with a pretty set of freshly polished nails in variety of colors. However, too much time on the beach causes chipped nails almost every time and when it comes to removing nail polish, the process is extremely exhausting, messy and time-consuming. Well fret no more! OMG has found the solution to your problems. Say no to the drying feeling of your skin and remove stubborn glitter/gem polish in seconds. 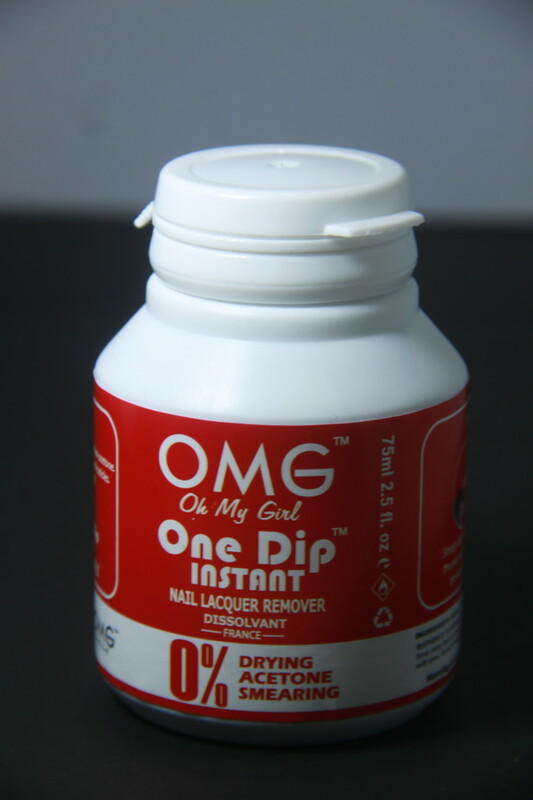 We now introduce you to OMG One Dip! Many international brands have released "magic" instant nail polish remover that leaves no trace of polish in a second. It became a huge hit internationally. 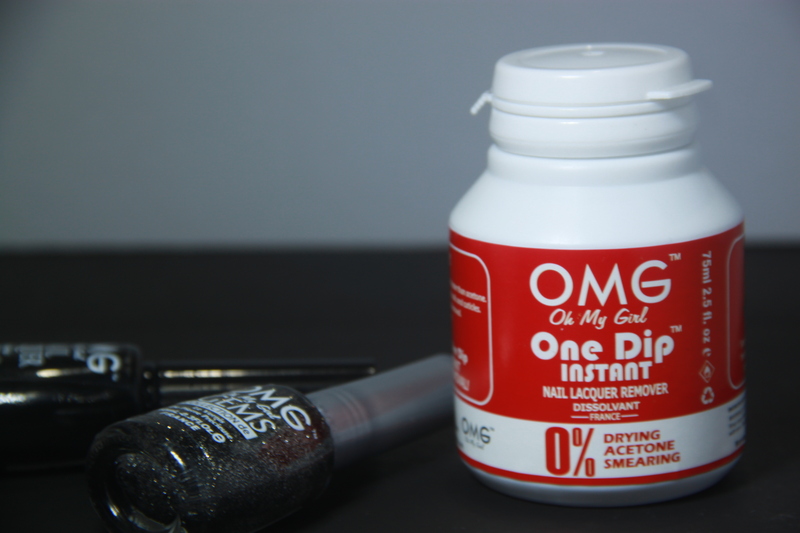 Now, after over a year of research, OMG has made their very own magic polish remover and you can have it for an affordable amount of Php50 srp! OMG One Dip instant nail lacquer effortlessly takes off lacquers. even faster than the usual acetone. (See the time difference between OMG One Dip and acetone here) Most brands carry two types of nail polish removers: acetone and non-acetone. Acetone removers contain powerful ingredients that works best as polish remover. However, due to their strong solvent, they strip off natural oils from the skin thus, leaving skin ghostly white and dry. On the other hand, non-acetone removers use less aggressive solvents but doesn’t remove lacquer coating efficiently. OMG One Dip instant nail lacquer removes nail polish faster than the regular acetone and its acetone-free formula is safe for all types of nails and cuticles. It has non- drying properties that removes lacquer in just "ONE DIP". Definitely a time saver! No more acetone, no more cotton. No mess, no fuss. To use, simply dip each finger into the pot and twist into the pre-soaked sponge. Get polished- free nails in just seconds! No need for cotton balls, pads, etc. Just replace the lid and re-use again and again. The product can be used up to 50 times. Replace it after because all the concentrated nail polish from the all the times you used the product are inside the container. Glitters/Gems might take 1.5 dips and will take 20-30 seconds to be removed entirely. So what are you waiting for? Go to a nearby local department stores and get your own polish remover on-the-go! Bring it anywhere, use it anytime! SIMPLY EASY! Find out more about OMG Products by liking our Facebook page and following us on Twitter and on Instagram. Keep posted for more updates on nail art tutorials and OMG promos!